A longtime champion of small and large businesses with an expertise in association management, Ara Topouzian serves as Executive Director of the Michigan Venture Capital Association. In his leadership role at MVCA, Topouzian advocates for Michigan’s entrepreneurial and venture investor community with legislative and government officials and promotes Michigan venture investment opportunities to regional and national markets. He also supports membership growth, guides program development and sets strategic direction for the organization. Topouzian has spent his career in economic development and association management centered in communities in southeast Michigan. Previously, he was President/CEO of the Troy Chamber of Commerce, where he oversaw one of Oakland County’s largest Chambers and fostered a thriving business community through regional collaboration. Before that, Topouzian was the City of Novi’s Economic Development Director, responsible for linking 2,000-plus large and small businesses with important local, regional, state and federal resources and information. During his tenure in Novi, Topouzian was responsible for business attraction projects valued in excess of $100 million in investment, as well as directing the city’s economic development goals and objectives in both attraction and retention efforts. 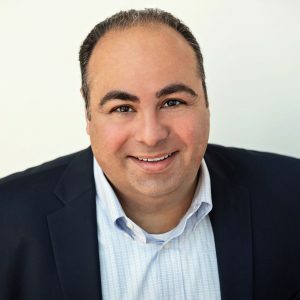 Topouzian holds a bachelor of arts degree in journalism from Wayne State University and has served as chairperson of the Michigan Economic Developers Association and as a board chair of Creative Many Michigan.